Happy 150th Birthday, READING EAGLE! 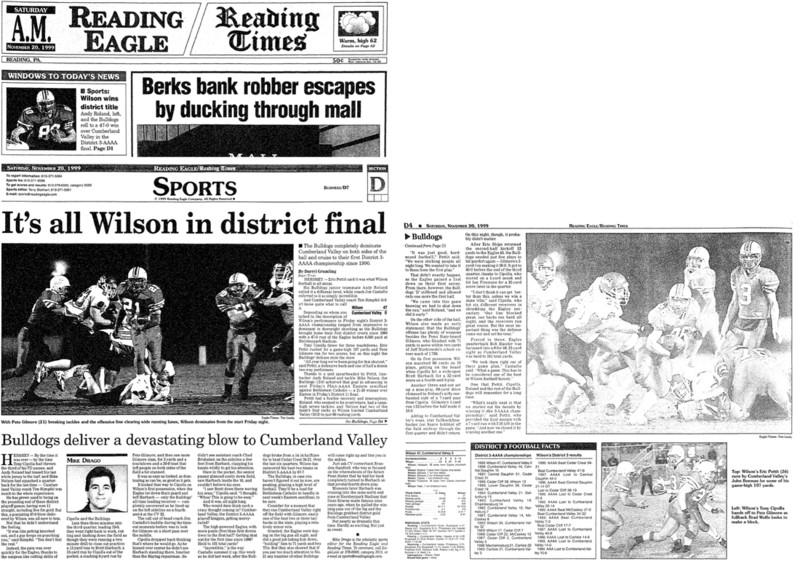 In honor of the Reading Eagle's 150th birthday, we are looking back at the newspaper's coverage of the Wilson Bulldogs football team over the years. 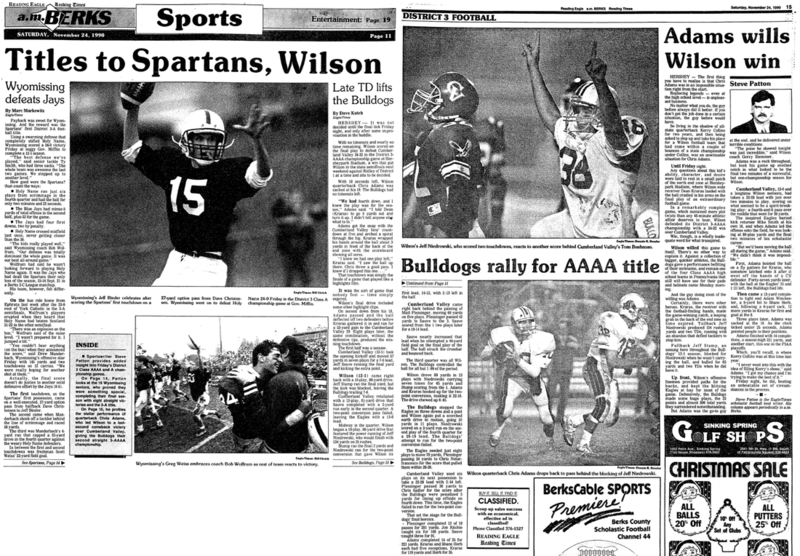 Below are articles from all seven Wilson District 3 Title wins, as well as extended coverage of the 1989 season, ending with a heartbreaking State Championship loss. Like this special section? Be sure to check out the year-by-year chronicles here! 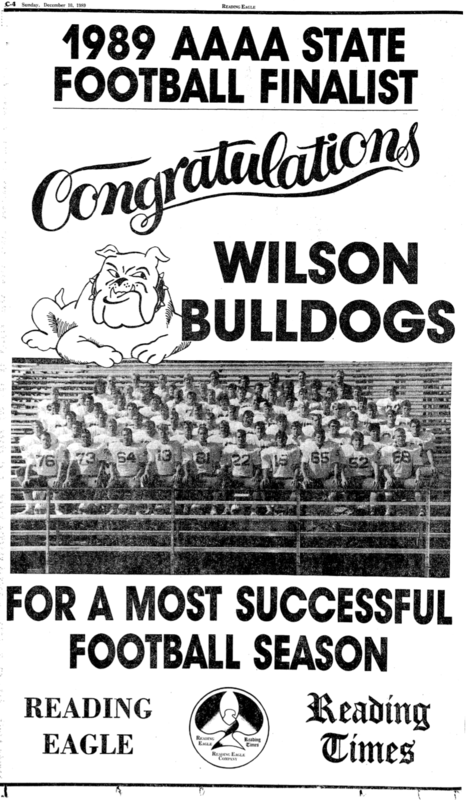 ​Wilson earned some mentions in their 150th Birthday sports article, too.